Our catalogue is regularly updated each time we launch a new product, shouldn't you locate your motorbike model, it is likely that its related model is about to be added to the list. Don't give up then, drop us an email or call us, we can arrange to make your silencer in a short amount of time after you send us your original one. Above all you won't have any bad suprise, you silencer will cost exactly as much as a similar model already present in the catalogue does. No extra costs then!! Cool isn't it? 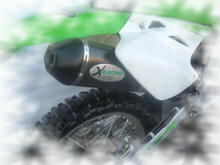 Xracing can build silencers on demand according both to your needs and specifications.We do also provide spare parts for all models, furthermore we have a repair and customization service you can take advantage of. 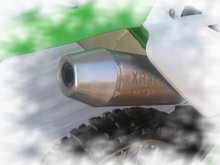 You can find several pictures for the majority of the silencers listed in our catalogue.However, we can arrange to send more pictures by email if needed.